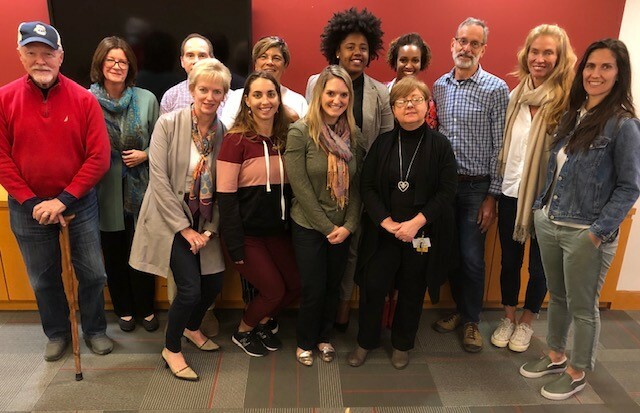 More than 20 FFCR volunteers and staff attended January’s Fostering Connections led by Sylvia Godoy, District Department Chairperson of the Miami-Dade Public School’s Juvenile Justice Support Office. Sylvia discussed a range of topics including the various responses to intervention; what happens every time a dependent youth’s home placement is interrupted or changed; educational options and placements; and tools to monitor progress. A crucial point was brought up during the training: Parents have the right and need to know answers to questions involving their child’s education, development and well-being – so who is asking on behalf of the children in care? During the educational portion of CRP reviews, it is important to inquire about the relationship the foster parent, case manager and/or GAL has with the school. Teachers can give interim progress reports and counselors can be asked to order additional records. Every foster parent has access to the Parent Portal which is updated regularly and where all standardized test score reports can be accessed. For students needing extra attention, Miami Dade County offers programs depending on the specific need of the child. Students who struggle with deep behavioral issues can be given Administrative Disciplinary Assignments which provide more structure and personalized attention. The Office of Advanced Studies and Dual Enrollment gives intellectually gifted youth the opportunity to graduate high school with an Associate’s Degree or vocational certificate. Students who are aging out of the system with weak English skills can benefit from an ESOL Immersion program and there are various programs for pregnant teens and young mothers based on their needs, preferences and conduct. Connecting youth to these services could make a dramatic difference in their ability to achieve self-sufficiency and personal fulfillment. For additional information about these programs, contact the Miami Dade Public Schools Juvenile Justice Support Office at 305-633-4950 or JuvenileJusticeSupportOffice@dadeschools.net.